On the eve of the Augmented Reality vs. 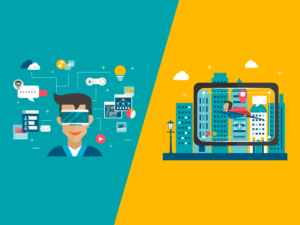 Virtual Reality Faceoff, Luis Bravo Martins, Head of Marketing at IT People Group, show us the differences between this two Realities on SAPO Tek. Interested in finding out which technology will have a greater impact on Humanity?